Weary also clears up once and for all why he left his gay role on As the World Turns. 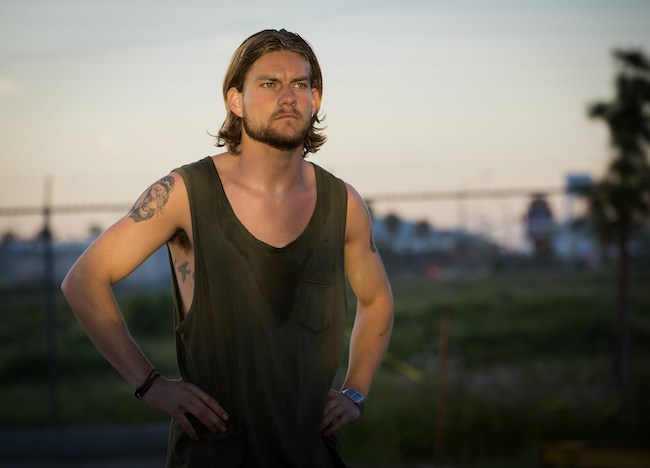 Spoiler Alert: Do not read unless you’ve watched this week’s episode of TNT’s Animal Kingdom. Major plot points discussed ahead. One of Ellen Barkin’s son has a big gay secret that is coming out whether he’s ready or not. 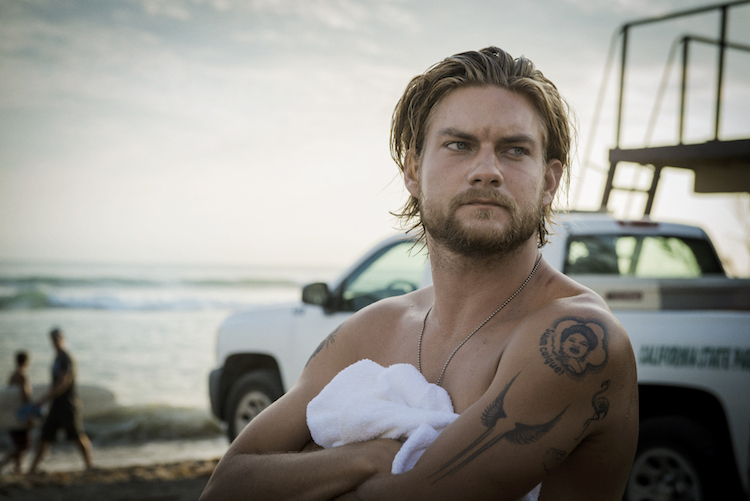 Of course, we’re talking about Barkin’s fictional youngest son, Deran Cody (Jake Weary), on the new TNT show Animal Kingdom. Inspired by the 2010 Australian film, Animal Kingdom is a drama series about the Cody family, a band of criminals headed by its matriarch, Smurf (Ellen Barkin). When Smurf’s estranged daughter dies of a drug overdoes, her 17-year old grandson, J, (Finn Cole) joins the household and is quickly pulled into the family business. In this week’s episode, we found out that Deran has been hooking up with his buddy, Adrian (Spencer Treat Clark), and is ready to go to any lengths to keep his secret. L-R: Adrian (Spencer Treat Clark) & Deran (Jake Weary). Photo by Doug Hyun. In the series, each of the sons has a close relationship with their mother (often verging on incestuous). With J arrives, Deran immediately feels threatened, especially after J finds Deran in a compromising position with Adrian. Just how intensely will Animal Kingdom explore Deran’s sexuality in the first season? Weary could only hint that we have not seen the last of Adrian. “He’s definitely a pivotal character in Deran’s storyline,” he says. Animal Kingdom airs Tuesdays at 9pm on TNT.